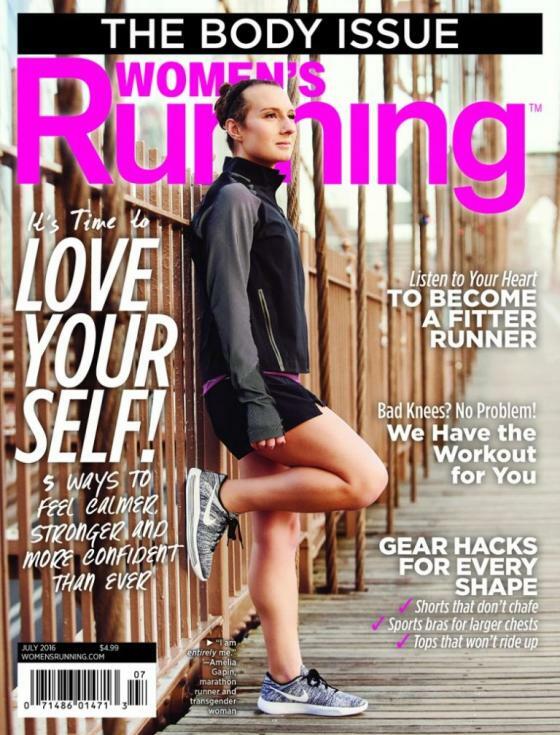 Amelia Gapin is co-founder of MyTransHealth and the first trans person featured on the cover of Women’s Running magazine. Amelia Gapin is the co-founder and software designer for MyTransHealth. This online business makes connections between users and trans-friendly healthcare providers. It’s a vital service, addressing a critical struggle faced by trans people around the world. MyTransHealth reviews every provider they list and evaluates them yearly based on consumer reviews. So far, their service is available in nearly a dozen major US cities, including New York, Miami, Seattle, San Francisco and a few more. The company is expanding as fast as they can. Gapin, along with Kade Clark and Robyn Kenner, are the driving force behind this vital service. It’s a personal since all three founders are transgender. Gapin has taken another step forward for trans acceptance. She’s the first trans woman to be featured on Women’s Running, a popular mainstream athletics magazine. She nearly declined the offer when she was named a finalist for the cover last fall. “I have no desire to play into the voyeurism of trans lives by cis people,” she said in an interview with New Now Next after she was shortlisted. She didn’t want to be used as a token for trans diversity by the magazine. But she thought about what it would mean to another trans person to see her on the cover, to read her story and identify with it. When she was selected by popular online vote for the July 2016 issue, she took the opportunity. Perhaps she was thinking of what it might have meant to her, personally, as a young and isolated trans woman in the 90s? “I just remember growing up thinking, I guess there’s nobody else like me. I’m the only person who feels the way that I do. There was never any positive representation,” she said. Gapin says that running helped her to manage the difficult times in her life. She says it provided her with a connection with her body and her emotions.